Just in time for the Alberta snow, Intact announced this week some updates to their my ATV and my Snowmobile insurance packages. These updates will be availalbe November 15, 2013 in Alberta, NWT and the Yukon. 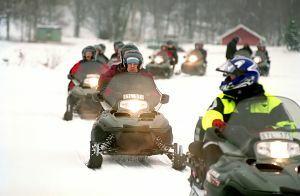 It's almost time to pack up the sleds and get the ATV's tuned up and ready for another season. As we know, Alberta see's a lot of injuries and fatalities from ATV accidents every year.